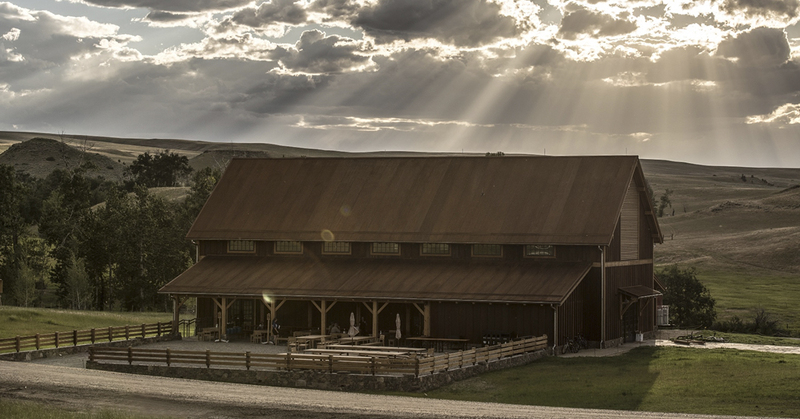 Set on a 10,260-acre working sheep and cattle ranch, Tippet Rise is the brainchild of Cathy and Peter Halstead. Inspired by their careers in the creative arts and education, it features both indoor and outdoor performance spaces, as well as large scale sculptures and stunning scenery. Tradition meets hi-tech in the Olivier Music Barn, which looks like a traditional timber agricultural building from outside. Inside, however, an Alcons LR14 system and HD digital film projection bring visitors right into the 21st century, while state-of-the-art sustainable technology ensures that its environmental impact is negligible. The physical characteristics of the LR14 system were also superior to the other systems that were considered. “We didn’t want to detract from the barn’s architecture and the compact size of the LR14 makes it as visually unobtrusive as possible. This was helped by the rigging and hardware, which provides so much adjustment flexibility,” Kevin continues. “I particularly like the stepless flying angle adjuster, which adjusts the angle of the cabinets if you want to raise the system.” David Rahn of Alcons US was always available to provide information and, with Kevin unavailable while the system was being installed, David visited the site to help Wind Over The Earth with flying and tuning the system. Although 2016 was Tippet Rise’s debut season, the LR14 ensures that Tippet Rise can have total confidence in staging an increasingly varied program in the Olivier Music Barn over the coming years.